Yes, I did need this done in all of Pooklet's naturals. Didn't you? REQUIRES MANSION & GARDEN STUFF! Okay, I did this one REPEATEDLY. First, it's an all-ages-both-genders hair, and second, M&G came with five colors on the headband. 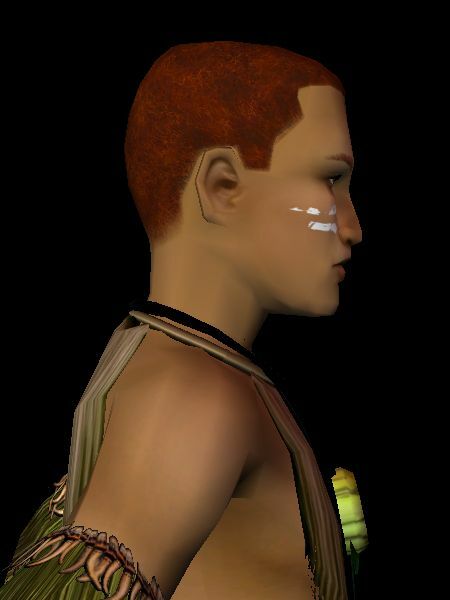 This one is the male recolor where all the hairs get basic black; useful if you want this hair but figure four versions of it in any given bin is enough. And this is the version where each family got a different colored headband; family 1 got red, Family 2 got green, Family 3 got blue, and Family 4 got gold. 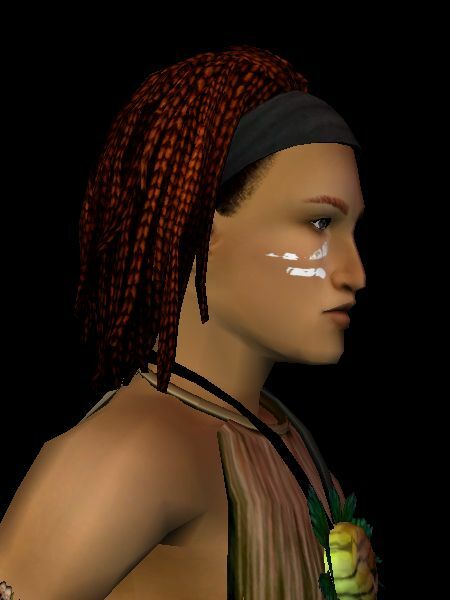 I did that with a lot of the Castaway and Bon Voyage hairs that have multiple headgear color choices. It seemed like a good idea at the time. Goddamn, I love these hairs. No, I seriously do. This is the first of my Castaway Stories hairs. 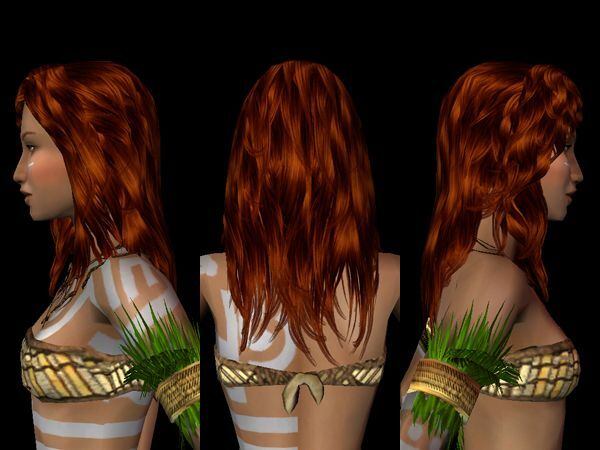 I separated the meshes out of the big repositoried bundle from MATY, and used my textures for the hairs. The Big Hat mesh uses the same textures as the basegame Longstraight (or straightsimple or whatever it's called; my recolor is Not So Romantic. If you know how to repository and want to save some space, use that one). I know Ja already defaulted this hair-- or rather the Longpart hair (this draws its textures from that)-- but I kept looking at it and looking at it and finally I looked at Nouk's Valentine hair and said, "I wonder..." I think it worked out nicely! 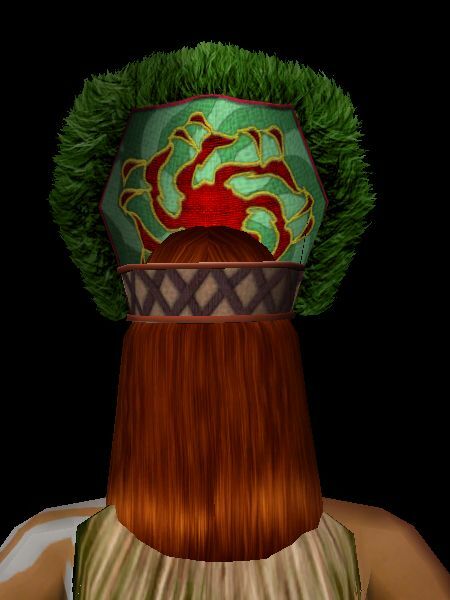 As with the M&G dreads, the grass colors are sorted by family; all the hairs that use the grass wreaths are sorted the same way. So, yeah, here's this again. 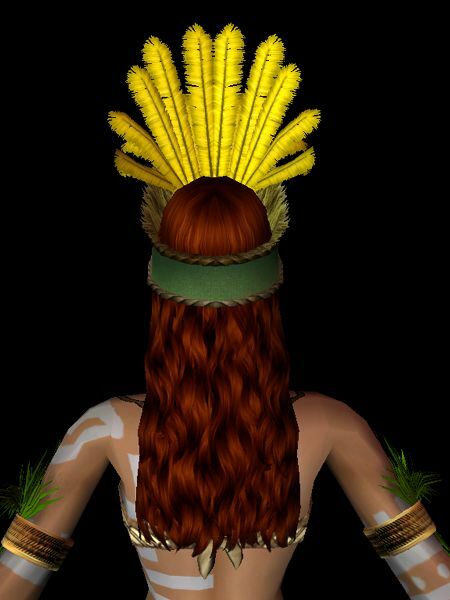 Actually, this is pretty much why I did Absolutely Basic; the textures had to be done and that way, my guys who wear this hair for everyday or formalwear can take off their grass crowns when they go swimming or have a bath or go to bed. This one doesn't require any expansions, it's another MATY extraction. The textures it uses are from the basegame sixties hair (my variation is 404 Pageboy Not Found, and again if you want to do a repository job on that one, AWESOME, feel free). 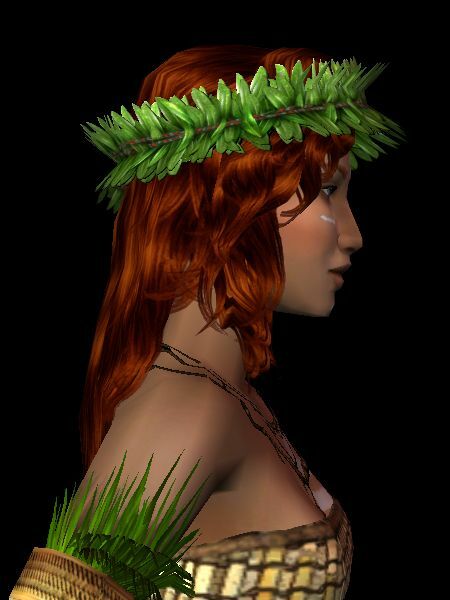 Because it's not fair to give you the wreathed versions of this hair without the wreath-free version. It's a little short for most of my game, but it came out really pretty. Don't ever be afraid to try messing around with textures! Sometimes it looks crappy, but sometimes you get something really neat. This one draws from the basegame Halo hair, and I have always liked it. 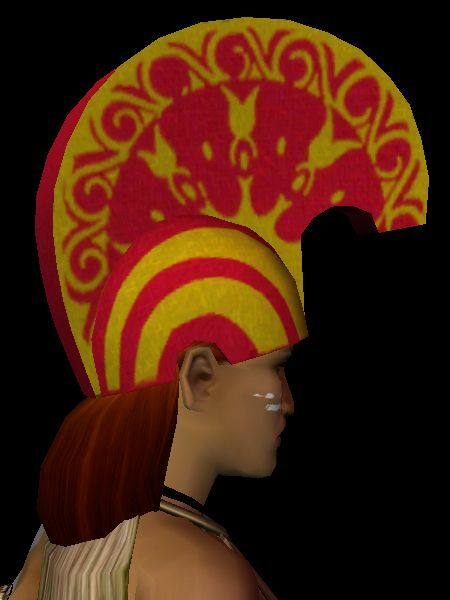 Again, there were only three hat recolors originally, but this time I made the first one myself-- there wasn't a good red in the flowers, so clearly that had to happen. Also, I'm not sure what kind of birds have tailfeathers like any of these, but clearly they are terribly awesome birds. Well, I had the male version all done, and the world needs more colors of short, sensible, ethnic female hair, right? Of course right. It didn't make sense NOT to do it, so I did it. Plus it looks badass. Because I clearly needed all the grass wreaths, that's why. It just didn't make sense not to do every mesh that could use the textures that were already finished. This started the way it'll finish-- with the M&G Dreadbands. This time, for women! Again, we start off with the black headband, because when I was deciding what colors to use for... uh, everything, it made sense to do every color with black. I mean, it's a black headband. It's hard to find an outfit that doesn't go with that. And here's the more colorful version. I only really plan to use this for my Twikkii Islanders (most of my game's action will be centered in a country that draws mainly from France in the High Middle Ages (right before the Plague ushered in the Late Middle Ages and the Renaissance), because that's where the neat clothes come from, but the various Vacation 'hoods give me scope for mishmashes of The Tropics, The Far East, and The Vaguely Nordic), but it's a right useful hairdo for the Twikkii Islanders who don't, for whatever reason, get a really awesome hat. Hey there! This is really wonderful. Snagging more than a few hairs. :D Also, wanted to let you know that the DL link for Might As Well points to Half The Point. I will fix that when I get back on my Simming computer. Thanks for the heads up! And fixed! Sorry about that. Also, I have only just now realized I know who you are. *facepalms* Hi there! It's good to see you again! lol, no worries! hi, good to see you too. :D thanks for all the lovely hair! You are most totally welcome, because... how would I anything with hair? You rock. 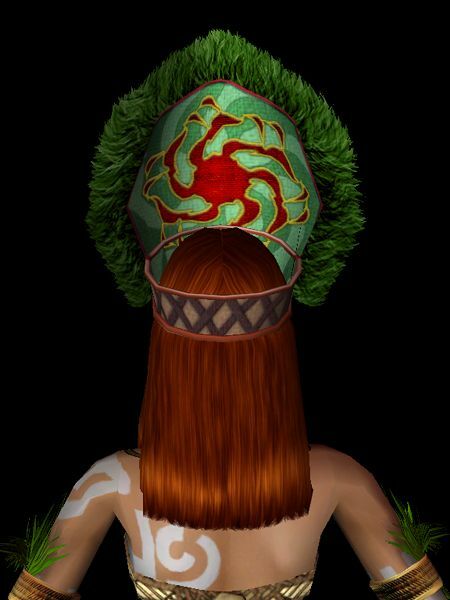 Without your color actions, I never would've tried to retexture any hair that wasn't a no-hair-showing hat. 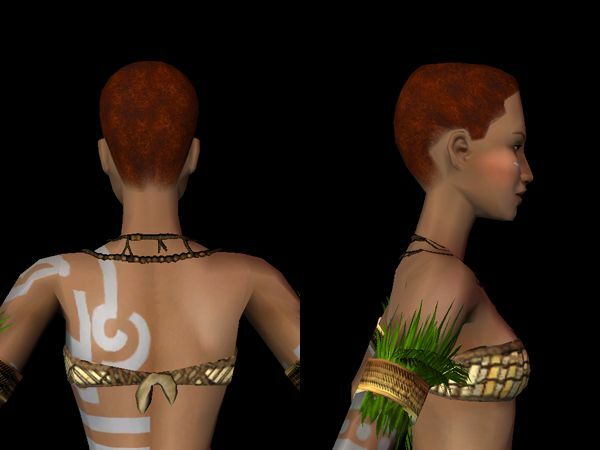 I never would've learned to use Theo's binning tool, I wouldn't have been as motivated to learn stuff about property sets and sortindex numbers and the whole mess of things you can do to hair in SimPE, I wouldn't have learned half the things I've learned how to do in Photoshop, and there would be three hundred sixty-eight fewer hairs in the world in Project Mayhem naturals. I can only develop skills on my own, but goddamn do I ever owe you for inspiration and tools. I'm incredibly grateful, you awesome personal pronoun, you. Nah, that's not punking out at all. Shoot, I never expected to see you around again, and I'm thrilled to have the chance to fangirl in your general direction. Just a gushing thanks, especially for the MtF close crop afro. Most of the credit for that one really goes to Aquilegia. 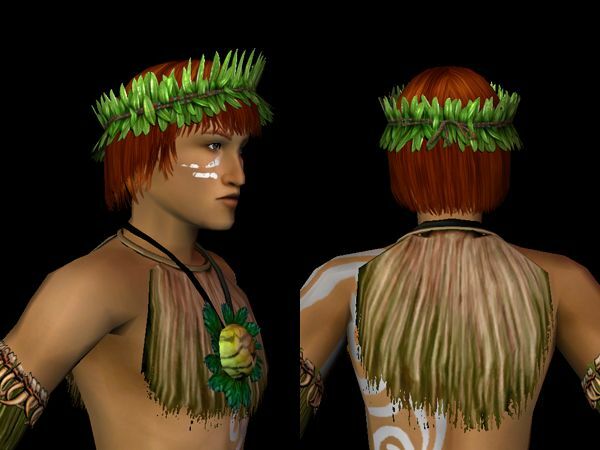 I had to do all the colors for the male BV Fronds style, so I figured why not do closecrop, too, and then why not do the MTF closecrop... Gotta love it when you can get two or three hairs out of the same set of textures, right? I'm glad you're finding goodies you like (and I hope your wrist is feeling better)! Awesome, I need those M&G dreads! Thanks so much for sharing, and welcome back! :) It's good to see you posting again. Thank you and you're welcome! I'm glad somebody besides me wants the M&G dreads in all the colors of the everything. But then I'm one of those people who NEEDS all four shades of black hair in my game. You probably haven't noticed but the first hair in this post, Absolutely Basic, was pulled down from MediaFire for 'copyright violations.' 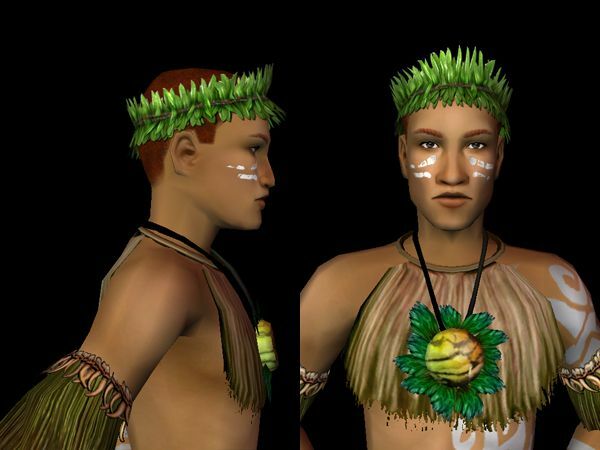 There's a thread about this on ModTheSims. How are they downloading now? Most, if not all of the others, were also pulled. I did read that someone managed to get the first one back. But it looks like we have a way to go to get them all. I submitted a ticket to Mediafire, how are they loading now?